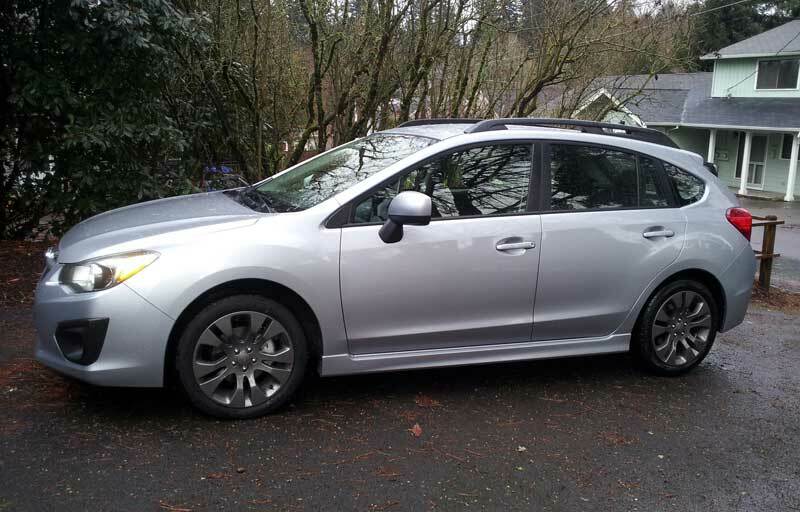 In the driveway this week is the 2012 Subaru Impreza Sport 2.0i Premium. At first glance, it actually looks big, but compared to our 2010 Suzuki SX4, it really isn't that much bigger. This one is equipped with the manual transmission, and of course, it has AWD. The Sport model gets the attractive 17" gunmetal-colored alloys, roof rails, fog lights, and the all-weather package. They just dropped it off and I haven't had chance to drive it yet, but be assured, we'll have a full report. Well, I stand somewhat corrected, at least in length. The Impreza is 10" longer. Not too bad, size wise then just looks big in the pic. Full inch of ground clearance for the sx4 is nice... I love my little car.